When a marriage breaks down it is a stressful and anxious time for both parties. It is important for the parties to seek legal advice as soon as possible after the break down of the marriage. Howells has a number of experienced and competent solicitors who would be happy to assist with a divorce financial settlement or other targeted divorce advice in Cardiff, Swansea, Newport and beyond. Sorting out financial divorce settlement can be dealt with through negotiations by the parties or via their solicitors, mediation or by making an application to the court. If parties wish to arrange their finances together it is important advice is given by solicitors prior to any agreement being reached. It is also very important such an agreement is recorded in a Consent Order. This avoids problems in the future. There is no time limit on a former spouse making an application to the court. There have been occasions where a party who has been lucky and received a windfall becomes involved in expensive litigation with a former spouse some years after the divorce. If parties attend mediation then it is always recommended the parties take advice from a solicitor after mediation has taken place. If no agreement can be reached the only way to resolve matters would be by making an application to the Court. This application can also include an application for interim maintenance. Once an application has been made the court will set out a time table when certain documents should be filed into the court. The first document to be filed into the court is a Form E. This document must be prepared in a certain way – the court may refuse to admit any document which they consider to be defective. Our specialist divorce financial settlement solicitors would be happy to assist with the preparation of this very long document, together with the statement of issues, chronology and questionnaire. At the first appointment a District Judge will give directions as to how the case should be managed. At this hearing the District Judge will expect the legal representatives to have in their possession a considerable amount of information regarding the case and the issues in dispute. The case will usually be adjourned for financial dispute resolutions (FDR). The FDR appointment is privileged. Anything said or any admissions made (except in very exceptional cases) in the course of this appointment are not admissible in the final hearing. At this hearing the District Judge will attempt to encourage the parties to come to an agreement. It is, therefore, very important that all necessary information is available for this hearing. A large number of divorce settlements are agreed at this hearing. The District Judge will incorporate the agreement in a consent order. If the case cannot settle, the District Judge will set the case down for a final hearing. These cases usually take a day – more complicated cases take a number of days. A Trial Bundle is prepared for this case. The District Judge will read the papers prior to the hearing and listen to evidence from both parties. The time frame for a final hearing is usually approximately 9-12months. Howells Solicitors have five offices across South Wales, in Cardiff, Swansea, Newport, Talbot Green and Caerphilly. In each office there is a Family Solicitor dedicated to providing a very high quality service. We pride ourselves on being caring and approachable. The Firm has a reputation for not only dealing with high net worth clients but also low value, complicated cases. 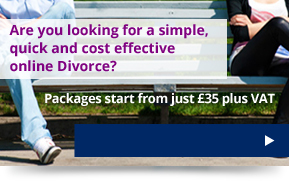 We have a high success rate in securing a divorce financial settlement for a wide range of clients. For further information please call our experienced divorce settlement team on 02920 404018 or email info@howellslegal.com.